One of the ways I try to keep Joe’s many lessons active in my mind, is to fish Joe’s cressbug pattern, which developed during his teenage years. 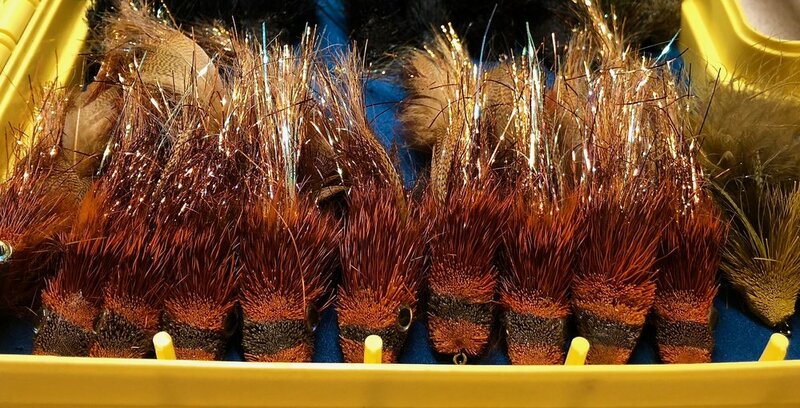 The version I tie is a variation, but when it’s all said and done-it’s Joe’s Fur Cressbug. Every time I open my box and see this simple but deadly pattern, I’m reminded of all the wonderful lessons Joe has shared with me over the years. Thank you Joe! As Blue Winged Olives continue to emerge on our local waters, I wanted to share another favorite “light weight” BWO emerger pattern, which I purposely fish higher in the water column-The Shop Vac. This modified Shop Vac imitates (as least attempts to) an emerging BWO emerger, and has proven useful over the last few days. I feel the budding wingcase does a nice job to create the illusion of a budding mayfly wing. This pattern can be modified to imitate any mayfly, but I wanted to share this variation as olives are currently available this time of year. While this pattern can be fished anywhere in the water column, I prefer to position it in the upper layer (tied 12-16” off a dry fly with a dry dropper approach or placed on the top dropper with a tight line rig) to imitate a BWO emerger. In short, the Shop Vac is a simple, quick to tie, and a proven track record. After all, there’s a reason it’s called the SHOP VAC. Please remember that you can substitute any of the materials mentioned below. Fly fishers develop greater confidence in patterns they “tweak”, and confidence is a huge part of angling sucess. Good Fishing! There’s a reason why the Shop Vac continues to be a top seller for fly shops-it catches fish. I have a confession to make- I use this blog to self medicate. I share all the mistakes and troubles I have on the water, to provide countless examples of what I hope is our collective suffering. One recent dilemma provided me with the harsh reality that my nymph boxes lacked lighter weighted nymphs (in this case sunken sulphur patterns). What is one to do when trout are feeding higher in the water column, and one has only tungsten-beaded nymphs? Like I said before…suffer. So, last May on Spring Creek, sulphur spinners were present on the water, and trout fed on partially sunken spinners several inches below the water-not near stream bottom. 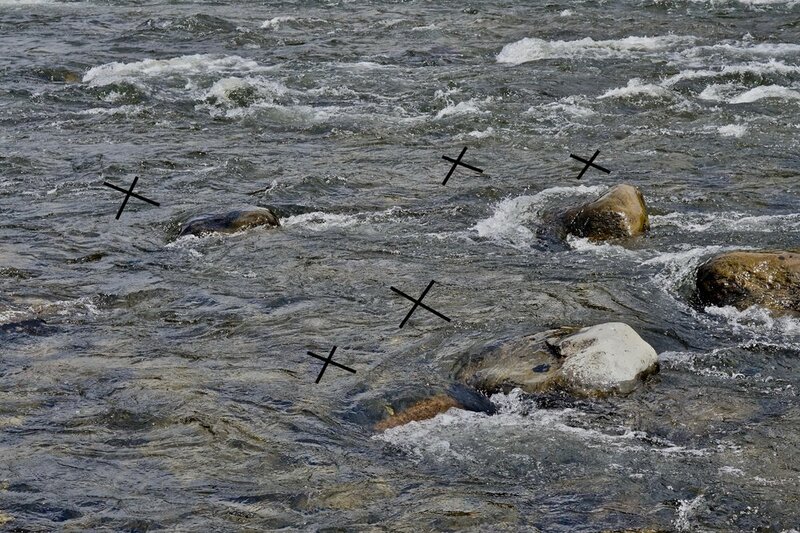 A traditional spinner pattern (fished in the surface film) is a good approach when spinners are on the water, but often the natural spinners (after mating) float through riffles, where the choppy currents pull and keep them below the surface, and these partially sunk patterns create an easy meal opportunity for trout. On this night, the trout were positioned to feed 2-3 inches below the water, and they were locked into this higher level to feed on the sunken spinners, and they were not about to move downwards to eat. I needed to present my nymph where the fish were. I could have simply taken a traditional spinner pattern, placed a tiny #8 split shot near the hook eye, and I would have presented the spinner at the correct level, but I forgot to bring my dry box that night. All I had was my tungsten bead nymph box (no brass beads to be found), and every pattern was too heavy to fish just below the surface film. I did manage to catch a few fish with tungsten bead patterns, but I know I would have had greater success with lighter weight patterns (brass bead or non-bead), fished higher in the water column. And the results for the next 4 nights of spinner falls, proved me right. Lighter nymphs meant a LOT more fish. While the timeline of this article is based on a sulphur spinner fall (not exactly a winter occurrence), this concept of lighter weight nymphs apply to all season scenarios. As my friend John Stoyanoff once told me, “George, you cannot tell trout where to find your flies!” When fish feed high in the column, I have to meet them where they are. This is especially true on insect dense streams like Spring Creek, where food is plentiful, and trout don’t need to move from the buffet line to pick a scrap of bread off the floor. They know if they stay in the buffet line (i.e. at the depth where the current transports the food), food will come to them. You don’t need to outsmart a fish with a nymph, but you do need to keep your pattern in the buffet line. When trout feed high in the column- “LIGHTEN UP” your nymph rig and good things will happen, which is why I suggest you carry several brass and non-beaded patterns, something I didn’t do that night. The next night? Different story. Below is a simple sunken spinner pattern I’ve used for several seasons. It’s a cross between a Higa’s SOS nymph and the late George Harvey’s Krystal Flash Spinner. You can tie this pattern with a brass bead or without a bead, and allow just the weight of the heavy wire and thin thread body to sink the fly. My favorite rig is to attach this light weight sunken spinner 12-16” below a high-vis sulphur dry fly. If you want to take your fly fishing to a higher level-sometimes you need to fish higher in the column! Note: A small dab of colored nail polish is placed on my brass bead head nymphs, to distinguish brass from tungsten. Don’t get me wrong, there’s times when we will have to place the sighter on the water, but when we do that, we are really indicator nymphing. When contact nymphing principles are at play, we need to stay in “contact” throughout the drift. In fact, our drift doesn’t begin until the sighter is visible-above water, under tension, and under control. If the sighter is laid on the water, the angler needs to lift it off the water to regain control, which takes precious seconds away from your drift. It is essential, then, to become the ultimate micro-manager with your drift time. Strive to have the sighter off the water, and under tension, the MOMENT your flies enter the water. Look ABOVE your target-not down AT your target. By fixing your eyes high, you can train yourself to stop the rod tip high after your forward cast. Think about it – if both rod and sighter need to be high the moment the nymphs touch water, why should you even have to lift the rod up to position the sighter? It should be in position from the start, and the only way that can happen is if the rod tip stops high. Right? The idea is NOT new – Joe Humphries, my mentor, called it the Tuck Cast (and Joe was NOT an Indicator guy!) You should never have to play “catch-up” with your presentation. Look high, aim high, and hold the rod tip high after the cast and BOOM-sighter is off water, under tension, and ready to be led throughout the drift. These little things make a big difference in your tight line game. Aim High! Many ways to add dropper knots. Here’s one of my favorite methods to adding droppers. I feel the reduction in mass , within a mono rig, creates greater connection and sensitivity to the fly. This Vlog was inspired by a central Oregon high school fly fishing club, where they asked for my preferred mono rig. This is part 1, where I discuss my go to basic mono rig setup, and provide some insights as to why it works for me. First, let me point out that www.troutbitten.comhas written a lot of great information concerning the mono rigs, so my focus here is to discuss my “CONFIDENCE RIG” with you, and a few thoughts as to why mono works well with nymphs, especially light rigs. The second part will include basic rigging (spacing of flies, adding droppers, etc.) with mono rigs. Thanks for taking the time to read and watch. I’ll also be in the seminar rooms to present several programs, along with a few demos in the casting pool. Plus, you’ll find me hanging out in the Orvis booth throughout the entireshow, so please make sure to stop over and say “HI.” Hope to see some of you there. George Daniel explains his confidence MONO RIG for nymphing, while discussing several advantages of mono over traditional fly lines for nymphing light rigs. The video link shows a simple but effective jig pattern, for when you need fast penetration when streamer fishing. Simple steps. Simple recipe. Enjoy. Kelly Galloup’s Zoo Cougar and Tommy Lynch’s Drunken Disorderly are two examples of buoyant streamers. And they are both awesome patterns. The Zoo Cougar’s rounded head bobs up and down. The wedge head on the Drunken Disorderly cuts fast and deep into the depths. Two great flies with two totally different actions. Without a sinking line, these streamer patterns would remain floating on the surface. But with a sinking line, the movement of a wounded baitfish is created. The streamer comes to life. We need to let the line fish the fly. In other words, the line need to positioned below the fly before the retrieve. In other words, LET THE LINE FISH THE FLY. This wounded minnow appearance occurs when line (sinking line, remember) pulls the buoyant streamer downward, and, during the pause, the fly is forced upward. In other words, the fly “pops” to the surface. This Yin and Yan relationship between the fly and fly line is what creates the magic in the presentation. You know the presentation is correct, when it’s fun to watch the streamer move in the water. Up and Down. Side to Side. Zig and Zag. Yeah! To some extent, LINE, not anglers, fishes the buoyant streamer. Streamer fishing, though, enforces the rule in a way that no other method will. When the line is positioned below the fly, BEFORE the retrieve, separation between line and fly occurs. The fly will start to ride upward on any pause. The retrieve will pull it back downward. You want the streamer to life and drop in the water column. Wounded baitfish don’t, last time I checked, sit stationary in the water column. They can’t hold for long though. The pause represents a kind of “last gasp.” It is a crucial moment, so don’t rush the retrieve. After the cast is made: pause, give the line slack, let the line sink, and then make the first retrieve. This allows the line to form a belly under the buoyant streamer, which pulls the fly downward on the retrieve. Then the process repeats itself. The retrieve creates tension, pulls the line upwards towards the fly, and creates a level plane between fly and line. Now we need to repeat: Pause, allow slack to occur, let the belly form, then retrieve. The pause is essential after every cast and retrieve. Create separation. Create Magic! If you’re anything like me, you’ll change flies and/or rigs regularly on the stream. In the heat of the moment, I’ll toss the old fly back into the fly box (and I’ll do it pretty darn quickly! ), then quickly tie on the new fly. Do this several times an hour, all day long, and soon your once- organized box resembles a junk pile, controlled, but barely, chaos. Some anglers, with vague powers of recollection, can control chaos and manage to get through the day. However, I become frustrated when I start the next day (or month or year) with a messy fly box. This is why I spend 5 minutes, after every day’s trip, to “purge” my box. Step 1: Toss out any worn out patterns. This includes patterns with rusty hooks, bent hook points, or unravelling thread. If I can salvage hooks or beads, I’ll throw them into a recyclable box. If they can’t be saved, I throw them away. I cannot tell you how many boxes I see full of flies, that will never see water again. If you don’t plan to use them, lose them. Now, if you keep “seasonal” flies in separate boxes, that’s one thing, but if you haven’t used a fly in a year, chances are you won’t use it again. Ever. Toss it. Step 2: Dry out wet flies. I take wet flies from my box and stick them on a dry patch, a small rectangular section of a black Yoga mat (thanks Jac Ford for the recommendation), attached with Velcro tape to my truck’s dashboard. Wet patterns stuck on the dashboard, a perfect place to heat and dry them, will be restored in 15-20 minutes. Once I get home, I detach the dry patch from my dashboard, take inside to my office and place the dry patterns back into my working box. BOOM! Organization (the opposite of chaos), and freedom to search the water, not my fly box. My kinda of “organized” small stream fly box.